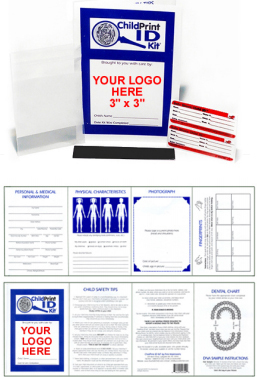 Each kit says, "Brought to you with care by:", with a sponsor's logo prominently printed underneath, in an area that is roughly three inches square. 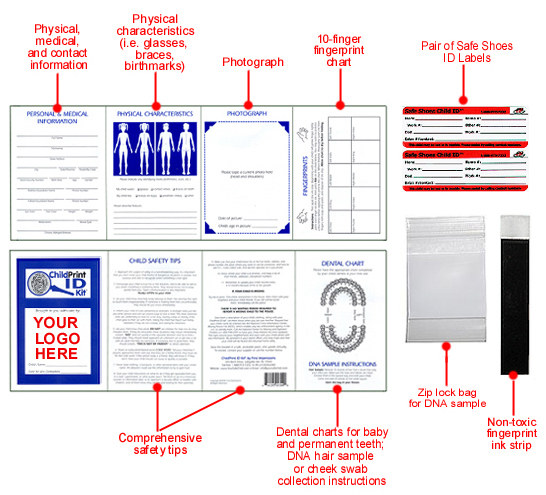 If you would like to review many more examples of the country's premier child safety kits in far more detail, please feel free to download this 11-page kit sample brochure (PDF). If you represent a school, preschool, or day care center, or you are a community-minded business who would like to learn more about sponsoring a program in your area, please see our Programs page. Copyright © 2019, David Beroff. All Rights Reserved. 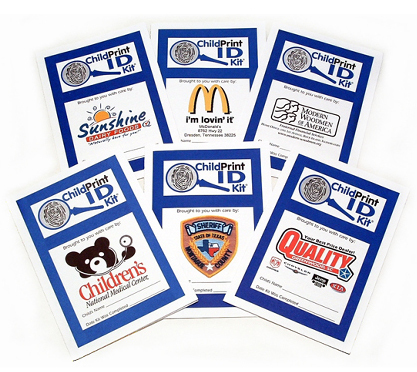 ChildPrint ID Kit is a registered trademark of First Impressions.